Brett Favre had a long and by most counts Hall of Fame career with the Green Bay Packers but as retirement loomed he decided he wasn’t ready to quit. He signed with the Jets and played another year or two. I should be able to tell you how many years it was but truth is it was so painful that I’ve blocked it out. 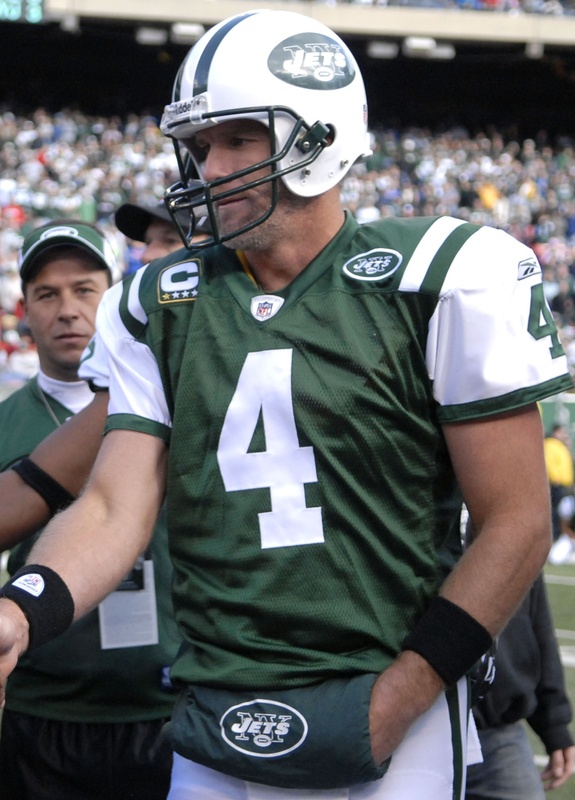 At the end Favre was just a shell of his former self. Something that was apparent to everyone but himself. Then there was Randy Moss. One of the most exciting players in the NFL that limped through the final years of his career as an after thought. I think when he was a Titan, they threw him the ball maybe twice in 6 games. It was very disappointing to watch and while I don’t pay attention to “legacy destroying” talk, it was not the way you want to remember him. The point is, sometimes you have to know when its time to go. Here in Nashville we have a similar situation evolving with our superintendent of schools. Dr Register has had a very distinguished career and done extraordinary work with MNPS over the last several years. Unfortunately this last year hasn’t lived up to previous standards. Early in the year he was stung by heavy criticism for perhaps the first time in his tenure here. He reacted not by self evaluating but by becoming defensive and aligning with the very people he’d spent several years opposing. You’ll notice in the article referenced above Dr. Register is quoted as saying “”It sounds like this community does not want this school to convert to a charter school. We need to hear that. I would be very hesitant to recommend a conversion here.” Unfortunately recently obtained emails through a open records request tell a different story. It appear as if Dr. Register and KIPP have been in talks all along and perhaps the listening tour isn’t as much for listening as one might hope. Its not very surprising because in this day and age of message manipulating, nobody ever truly listens. Its all a bit infuriating. Other then being infuriating, this turn of events is a little saddening. I’ve always found Dr. Register to be a very honorable man but these revelations paint a different picture. On top of that, East Nashville United was promised a focus group that would have input into whatever shape the restructuring plan took. Don’t ask how that’s been going because its first meeting hasn’t even been announced yet. However this isn’t slowing Dr Register down because he’s on a “December timeline to get this done.” (http://www.nashvillescene.com/pitw/archives/2014/10/27/register-flips-hasnt-ruled-out-giving-inglewood-to-kipp) It doesn’t sound like there is a whole lot of room for input and adjustment, but if you are going to have a listening tour where you don’t want to have to listen, November and December are good months to do it. It is interesting that the ASD announced potential takeovers in Memphis with nary a mention about their intentions in Nashville, despite obviously chomping at the bit to grow its presence. (http://www.tennessean.com/story/news/education/2014/07/30/state-led-district-expects-take-nashville-schools/13357951/). Could it be that East Nashville United looks a little too united for their tastes. Perhaps they are not relishing a repeat of the events in Memphis. After all when there is no shortage of questions about your success, you tend to favor a lower profile. I’d like to say that’s it for the plans, but nope. In an effort to once again include a policy that makes better copy then practice, MNPS announces a new “100 Teachers in 100 Days” program which kicked off yesterday. (http://mnpschildrenfirst.com/2014/10/27/metro-schools-launches-campaign-to-recruit-100-turnaround-teachers/) They’re calling this the “Turnaround Corp”, which I admit is a pretty catchy name and the endeavor itself is quite worthy. However, I have a number of questions. First and foremost, who interviews and recruits in November and December? It’s always been my experience that all recruiting efforts shut down between November 1 and the second week in January. People tend to be focused on closing out the year and celebrating the holidays. Interviewing for jobs, is a bit much to add to that. Wouldn’t this be better undertaken in the spring? Secondly, these 100 teachers are not actually getting hired by a school as they are going into a pool where a school could select them. Due to Mutual Consent laws MNPS can’t force a principal to take on a teacher. So as a “Rockstar” are you really going to be enamored with interviewing to get in the pool so that you can interview again? Maybe, maybe not. Maybe I don’t know enough teachers, but the ones I do know tend to utilize best practices, period. They don’t tend to walk around with a “turn around” portfolio in their pocket. If they’ve managed to be involved in a successful turn around its because their innate skill, the strength of their team, and the incredible amount of work needed to get student, parental and community buy in. Which leads me to ask, if you’ve been involved in a turn around, why would you leave instead of reaping the benefits of your investment? After creating a support system that allowed for success, why would you gamble on getting those tools again? The biggest question I have though is, if my child’s teacher is chosen to be a member of the Turnaround Corp who is going to replace them? Will my child go from a 5 star teacher to a 2 star? What about the teachers currently at the priority schools? Are you going to relocate all? Some? Are you sure there are a 100 that need replacing? Based on what? A system that is being utilized in a matter that it was never intended? Why would I want to come to a system that ranks its teachers on an unproven metric? Do a really want to move my family when I may be punished by a rating system that is not considered reliable. That’s a big gamble. Unless we’re not looking for teachers with families…but that’s a different post. I’m sure the plans come with the best intentions, but I don’t understand why we have to rely on stunts instead of just supplying good teachers and equitable resources to all schools. Every job assignment has its pluses and minuses. Good recruiters make applicants focus on the positives and ignore the negative’s. I liken improving schools to improving neighborhoods. You can’t improve a neighborhood without fixing the structure. Just moving new residents in doesn’t instantly transform the neighborhood. This plan reinforces the myth that teachers can fix all problems regardless of leadership and social influences. Even the most ardent reformers are starting to recognize this fallacy. This bears the question where is the teacher retention portion of this program? As Peter Greene points out, that’s a subject we don’t like to talk about. ( http://curmudgucation.blogspot.com/2014/10/why-arent-we-talking-about-teacher.html) Its much easier to write headlines about getting fresh new exciting faces then about keeping the ones that have been doing the heavy lifting for years. We are all to willing to demand accountability for teachers and students, but a little reticent to demand the same from administrators. The ideas are simple even though the execution is complicated. There are a couple tenets that can’t be compromised though, the process needs to be transparent and all participants need to be forthright. You can’t say there is no plan when its clear that you’ve been working on a plan. You also need to recognize the social contract schools have with their communities and honor it. Dr. Register has announced that he will not seek a contract extension. That’s a little bittersweet. I’m grateful that he has made it possible for my children to attend a quality school but I believe its time for someone to take us to the next level. When I reflect back on Favre I prefer to remember the game after his father passed away when every pass he threw seemed to have eyes. Reflecting back on Dr. Register’s tenure, I would prefer to remember him as the man who brought MNPS back from the abyss and not the man who would do anything to string out his career and who wouldn’t listen to people who told him things he didn’t want to hear. I noticed on the turnaround corps job posting that the carrot offered to teachers was an eleven-month salary which would lead to an increase in the teacher’s retirement pay. Since there is no research showing that more money makes a teacher teach better, I was surprised that this was stated as a reason a teacher should apply.